Most of the effort involved in reporting on your marketing should go into deciding what you actually need to report on. There is a lot of hype around big data, and from a marketers perspective a lot of it is justified. People are sharing more and more about themselves online, scarily most people are doing it without even knowing they are. The by-product of all of this sharing is huge volumes of data – either anonymous or, in many instances, traceable back to a unique individual. The problem when you are confronted with such huge volumes of data is sifting through it to decide what is and isn’t useful to your marketing efforts. Statistics when chosen selectively can be manipulated to prove almost anything. This presents a unique problem when it comes to asking the agency you are paying to do your marketing to report back to you on how well they are performing. Beyond the obvious issues around integrity, you also need to consider whether their performance objectives are actually relevant to your businesses objectives. Often agencies will provide reporting based on what they think matters, not on what matters to your business. This means they will genuinely feel like they are performing well, because they are measuring their performance against the metrics that matter to them. It can be a buzz for an agency to see improvements in reach on social media because it means their content is popular – but how do you know if the people being reached are the right target audience and whether the content is actually driving genuine interest in your products/services. It’s critical that the metrics being used to report on performance are providing a valid measurement of the real objectives of any campaign. Of course this all gets even more complicated if you have different vendors for different digital channels that are all providing conflicting information – or worse still pointing the finger at each other for performance issues. 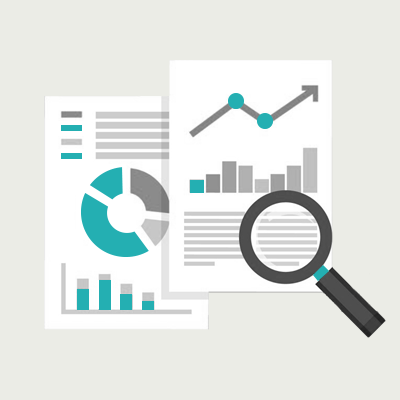 We can help you navigate through these issues by working with you to scope out the types of reporting that will provide meaningful insights into your marketing campaign’s performance. When combined with a goal setting workshop we can also set meaningful KPIs for each metric so you can tell at a glance whether your digital marketing is working for you, not against you. Beyond just helping you to direct your agency’s reporting we can also facilitate the creation of your own real time reporting dashboards that pull data from multiple sources (your website, social media profiles, google, etc) and then display it all in an easily digestible format customized to your reporting needs. We can help you tie digital metrics back to line items on your P&L. Do you have clear objectives for your digital marketing? We can help map out a path for you.